Author: Jessica M. Bath is a creative manager, likes to write daily tips about SEO". The most acceptable definition for plagiarism has to be the use of other people’s works (mainly published) without permission. It has probably been defined differently in different quotas, whether it’s academically speaking, in the arts-music and film, politics and so much more. First, when a great work is created, it’s what motivates others to create better works. In many cases, when a piece of work is developed on, there is no way this can be done without borrowing from or imitating a few aspects or many aspects of the original, one way or another. And when this happens, it’s pretty hard for the new creators to give credit to who they borrowed from, because, in their eyes, their product is original and to where they god the initial ideas, a source of inspirational for a new creation. Whether you borrow or plagiarize an idea to develop yours or not, there is a fine line that states wrong doing because, there is nothing original if any in the world today. However, have you ever looked at what your plagiarism implications are on your online business and SEO? This assertion comes in the wake of evidence that shows marked complacency by many webmasters over what their little acts of copying content from different websites harm their online businesses. This article looks at plagiarism and its implications to your website’s search engine optimization. Who are the biggest culprits for online plagiarism? In many cases, when web masters and website owners write content for their websites, they just Google their competitor’s page or top ranking website pages for keywords that interest them. Whereas some website owners are likely to tweak this content with synonyms, rewrite it or such other related method, others simply copy paste that content and publish it on their websites. However you look at it, if the original concept or ideas of one website are represented wholly or in part on your website without an ounce of originality, to the search engines-this is outright plagiarism. Well, every so often, different pages are published on the web. People are possibly writing similar things as you; naturally, there is nothing new in the world. 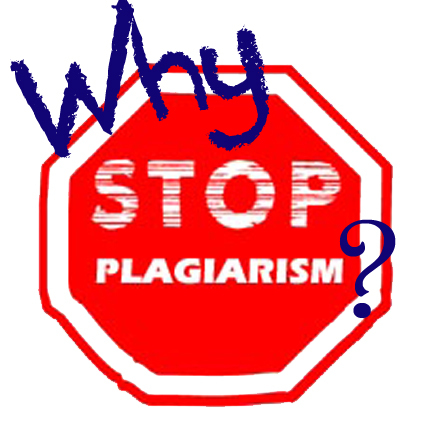 When you plagiarize, the following are some of the implications of plagiarism. 1. The first implication of copying the website content of a similar website is that, you will never establish yourself as an authority in whatever field your business/website is in. This is because, when Google does index pages, they have a special log that that keeps dates on fresh content for ranking-logically, if you present them with that content as your own, they see it as unimportant and cannot rank you for it. 2. Secondly, when your business website is not ranked for essential keywords for reasons explained above, your website cannot attract any traffic. Basically, the page rank and uniqueness have already been awarded to the ‘rightful owners’. In the worst case scenario, Google may even penalize you by deregistering you off their search engine index-dropping your website completely off the radar as a penalty for plagiarism. 3. You destroy a reputation when you plagiaries. The essence of building a website is to create a value people can purchase. However, when you keep copying what others are already offering-you provide no value and your plagiarism therefore, affects your SEO badly. Basically, plagiarism can cause anguish when the results stream in. Not only will it reduce your chances of ranking in the search engines, but it will also affect your business negatively-by taking away all your customers for no value addition. So, is there a way you can deal with plagiarism to avoid Google penalties? The biggest and truest way to combat web plagiarism is by writing unique, fresh and new content for your website or blog. However, sometimes, this is hard-nothing new on the face of the earth. You need a way to see that none of your content or copy you are creating for your website has been published anywhere on the web. One such plagiarism tool that has been around for a while and plays an essential role is plagiarism checker Plagtracker. Not only will this tool help you check for plagiarism with an unmatched algorithmic efficiency, it is also easy to use, fast and FREE. By diligently focusing your efforts on ways to beat plagiary, you will realize the power of pulling copy, original content and web presence never before imagined or witnessed with SEO.